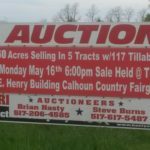 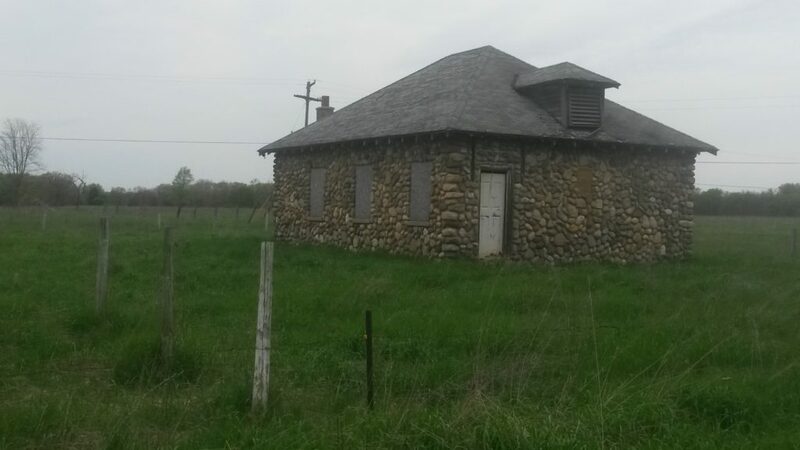 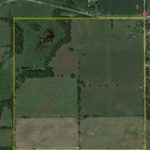 Farm location is 1/2 Mile East of Marshal on Michigan, Ave., to the corner of Michigan, Ave. and 20 Mile Rd., Section 29 Marengo Township, Calhoun County, MI. 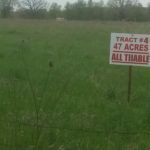 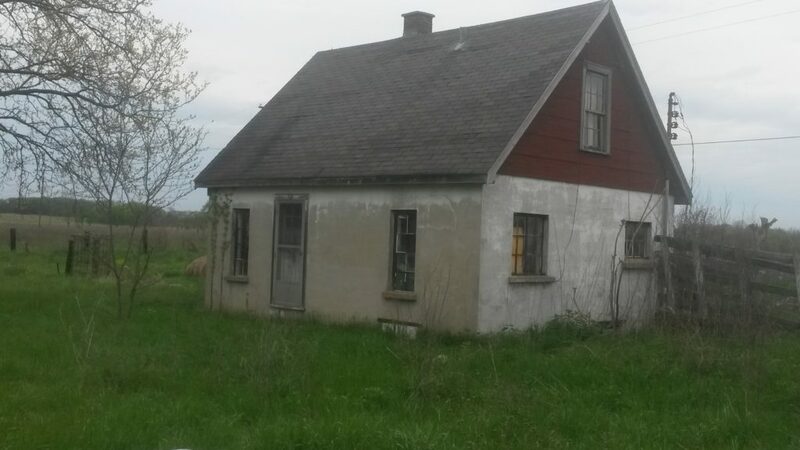 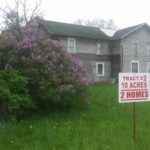 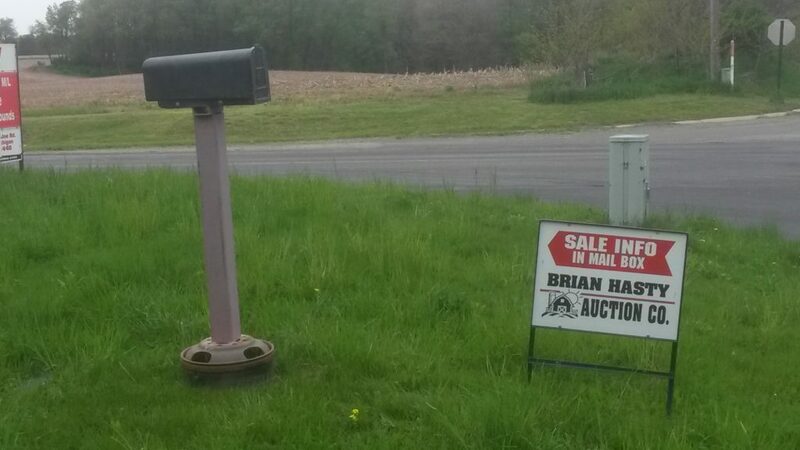 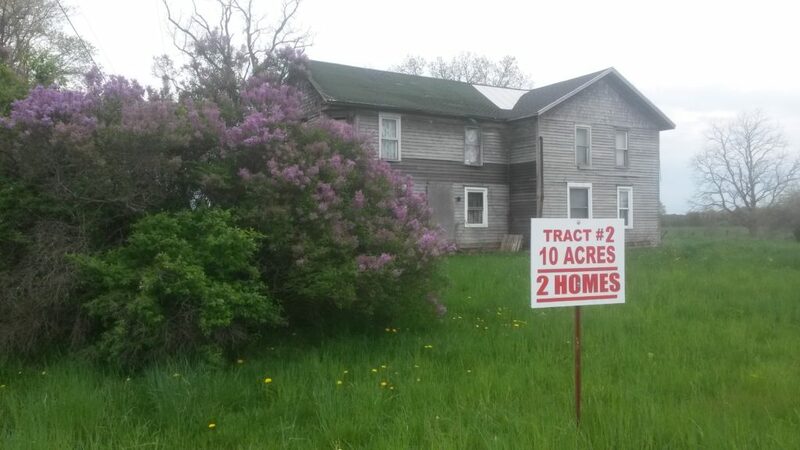 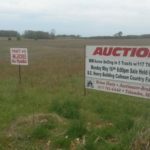 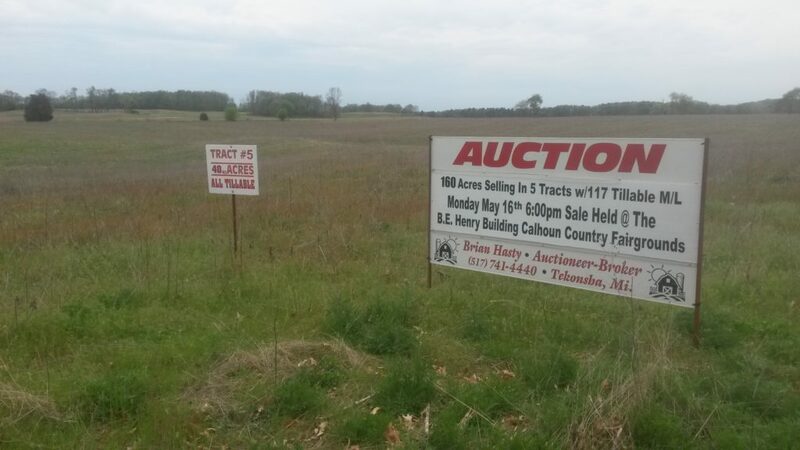 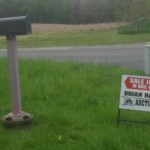 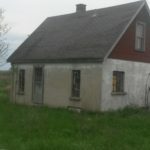 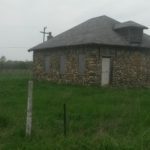 Tract #1 41 Acres M/L mostly wooded, with low areas and water, some open areas with tillable acreage, 200′ frontage on Michigan Ave.
Tract #2 10 Acres M/L with approximately 6 tillable acres, older farm home, also 2nd cottage type home, outbuildings, and silo. 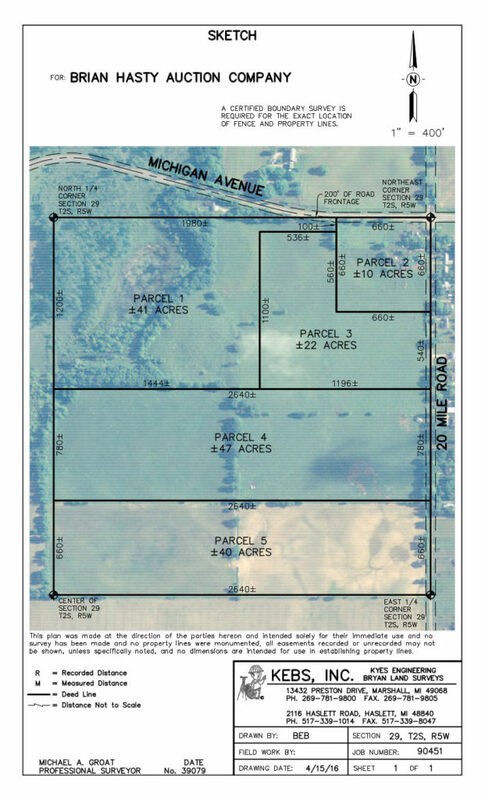 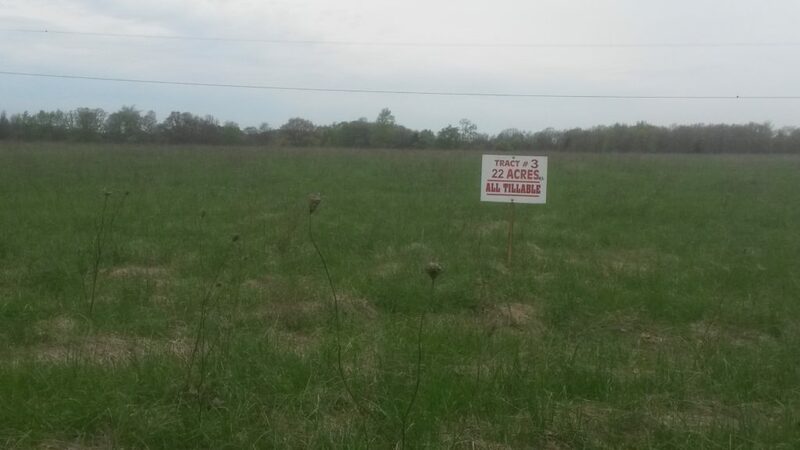 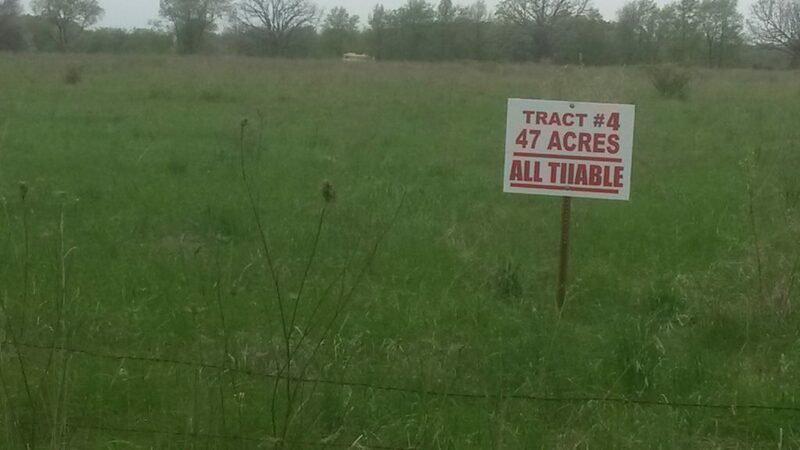 Tract #3 22 Acres M/L Virtually all tillable W/ 540′ Frontage on 20 Mile Road. 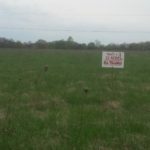 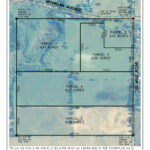 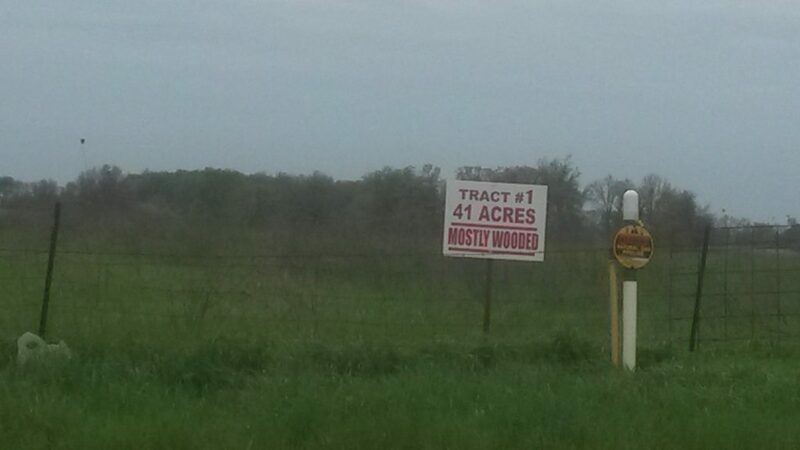 Tract #4 47 Acres M/L Virtually all tillable W/ 780′ Frontage on 20 Mile Road. 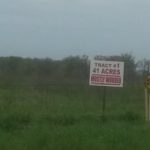 Tract #5 40 Acres M/L Virtually all tillable W/ 660′ Frontage on 20 Mile Road. 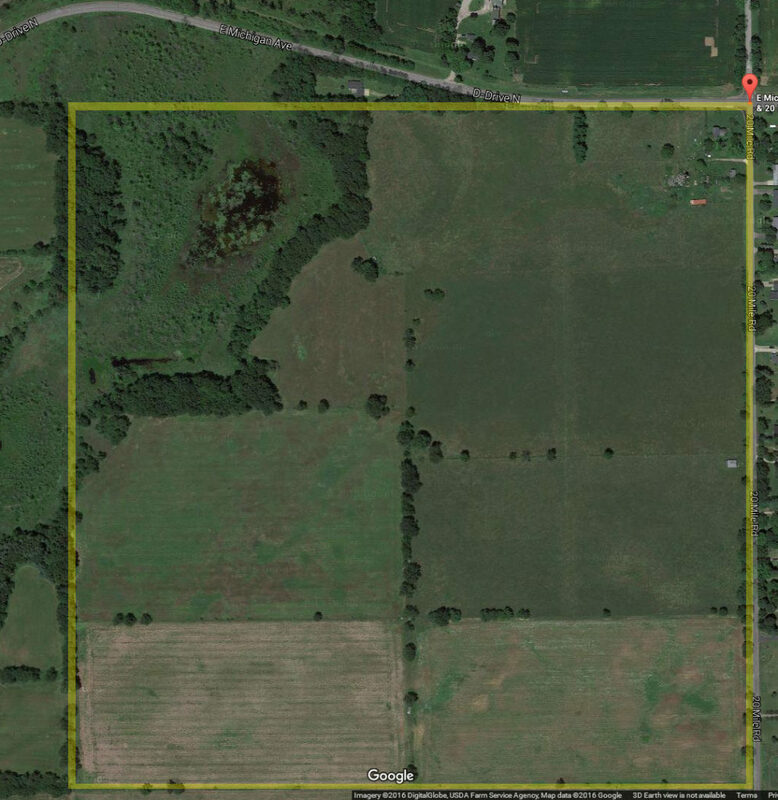 MARENGO TOWNSHIP: is a Zoned Township. 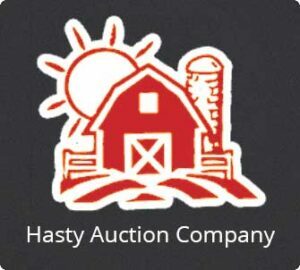 Buyers shall rely entirely on their own inspections, information, judgment and investigation of the property and is records. 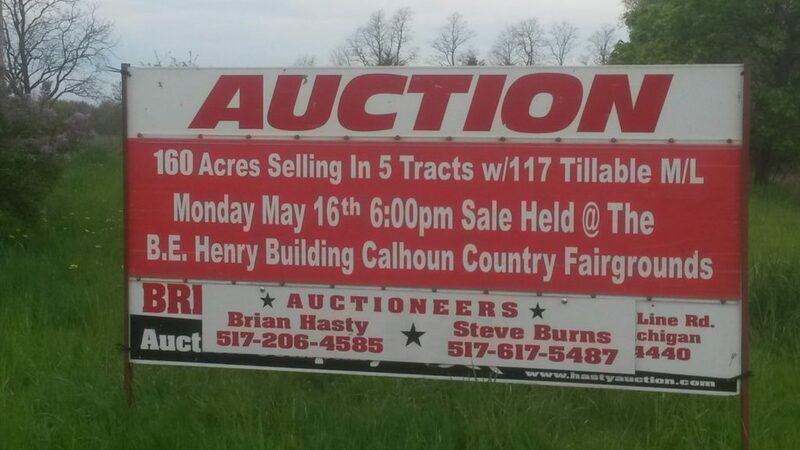 MONDAY MAY 16TH 6:00 P.M.